Have I ever said how much I love writing this blog? I really do. 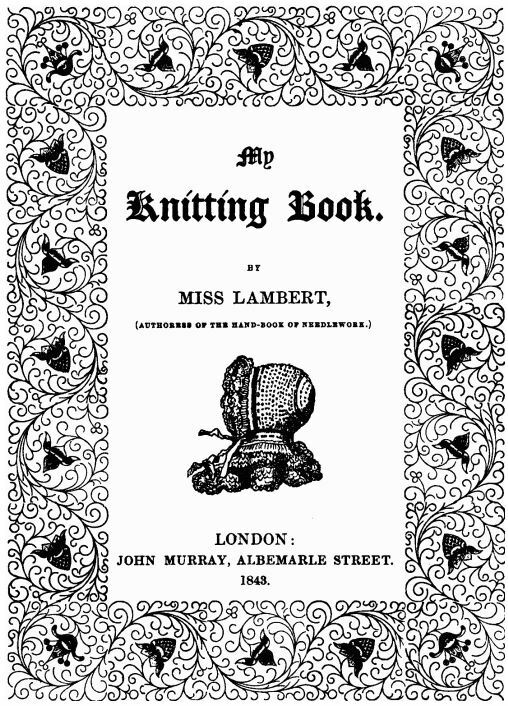 Taking on the challenge of working through the patterns in Miss Lambert’s 1843 knitting manual, My Knitting Book, has proven to be far more fun and satisfying than I imagined it would be when I started. Since there are no illustrations each pattern presents as an unsolved mystery that I get to figure out on my own. I have called this the MKB Project and have recently compiled a collage of photos of the finished objects that can be found under the MKB Project tab on the menu at the top of the page. There are many patterns in this little book so this will be a long-term project for me! In an effort to help the blog become more self-sustaining, I have added links for several companies that I have become a marketing affiliate for on the side menu. What does it mean to be an affiliate? It means that if you (the reader) click on one of the affiliate links and then purchase something on the site, then, I (the affiliate) will receive a small commission depending on what is purchased and whether you are a first-time visitor etc. There is no obligation whatsoever, but if you are thinking of making an order, please keep this site in mind! The three companies I chose to be an affiliate for are: Craftsy, Knit Picks, and Interweave Press. These are companies who I order from on a fairly regular basis and I have always been pleased with their quality. While we’re going over some administrative details, why not follow me on social media? You can find me on Ravelry as ymknits, on Instagram as ThreadForward, and on Pinterest and Twitter as @threadforward. I look forward to seeing you there! < Previous MKB Project 11: A Completed Brioche! This is truly a wonderful blog !! I agree with Lorraine too … does that mean that you are now officially nominated for the role?!! I’m perfectly happy writing the newsletter!